Likes: vol24/7/365, BreatheUT and T.J. I don't think he offers Moore than a Walz. After Tennessee lost to Georgia in the first round of the SEC tournament that year to finish 16-16 in Barnes' second season, the coach couldn't get settled. On the trip home, Barnes asked his players to name the toughest team in the league. Every player picked South Carolina, which reached the Final Four that year. A frustrated Barnes pulled the team off the bus once Tennessee got back to Knoxville and delivered the bad news. "We don't have it," Barnes told his team. "We don't have what we need to do. We're getting ready the next three months. We're gonna find out who really wants to buy in." I reiterate my usual stance in all of this -- I wish Holly would harden and get fired up. Sure, sure, new coach, regime change, I get all that, I'm not arguing for her record or defending the declining performance. Just, I feel like Tennessee's success isn't buried in some far off desert. It's not far away. But it'll take some tough love and demand to unearth it. To put your finger on everything that's wrong with Holly's coaching, you'd need four sets of hands. I know a coach that could Walz right in and turn things around quickly. I have wanted him for 6 years. I think it will not be any man a Jolly good lady!!! I wonder if Jeff Walz would even consider since he has built Louisville on his own. If they don't make the NCAA tournament for the first time EVER, I would think she will not be here next year, but that remains to be seen. She has to know she's killing Pat's program. But she doesn’t. She has said herself she has essentially cut herself off from any outside influence. She doesn’t know what’s going on unless an opposing coach texts her well wishes. No wonder the wheels are spinning in the mud. Good Lord, at least ask for help. Likes: morristown vol and T.J.
Should've been Pat's replacement from the start! this was a presser last year but it sounds EXACTLY like what happened in the game today. one year later this is DEJA VU ... NO DANG DIFFERENCE ... NO IMPROVEMENT AT ALL ! 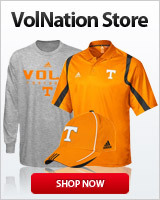 THIS IS RIDICULOUS .. WARLICK HAS TO GO ! SHE IS TRASHING PAT'S LEGACY ! Worst SEC loss in history. With Holly the hits just keep on coming. Her next car purchase should be "Greyhound"
Program is gone, the only people watching soon will be the players parents. She has taken something special out for a spin and made a hard left turn into oncoming traffic. You would have to pay him but given the talent on this roster, I think he would. This is not mediocre......It is total INCOMPETENCE, NEGLIGENCE AND FAILURE. Much more it appears that we are letting this continue to drag out by not holding CHW responsible for her actions. I am surprise that anyone would select or send their daughter here to be coached by her. She continues to take this program to a new low every game. Just once I wish she would say we got our butts kicked again and it is my fault and I accept total responsibility for it. She needs to resign or be handed a pink slip. THIS ...... X’s a GAZILLION. Who knows. I'm not even that upset we lost. Even Pat woulda had a tough time with a 6th ranked miss st team on the road...but its everything up to this point....and losing by friggin 28 points. Biggest sec loss ever for LV? Omg. This is bad. And missing the ncaa tourney most likely is another hurtful stain. This is an abortion. A once proud program down the crapper. And her clueless....careless attitude is an insult. There's no way a program that has recruited this much talent should be this bad. Holly gets credit for recruiting...but it means nothing if they aren't developed....and they aren't. Losing is one thing...but now its become expected and tolerated. Inexcusable. Go get your Harley and ride the hell outta here. One more thing....I believe Lady Vols recruits itself basically. Next coach should have no drop off. She is an insult to everything great about LV basketball. The history....pride....EVERYTHING. I was just wondering how many players will transfer if Holly gets another year vs how many will transfer if she retires after this season and a new coach takes over. I guess for the new recruits it comes down to did you sign for the university and the history or did you sign mainly because of your relationship with the recruiter? I remember that Horston was influenced by the history(Pat) and the chemistry with the current players. Of course it may depend on who the new coach. It`s a pattern with Holly most of the time the first unit starts slow but yesterday the unit played well in the 1st. She sub in the 2nd due to foul problems and poor play, But note that unit keep them in the game at half only down 40-34 only down 6.